Since 1990, Leonar Palacios the chef at Tortilla's has had the honor of serving you, our guest, a delicious Mexican cuisine with a variety of the finest ingredients & the best quality. 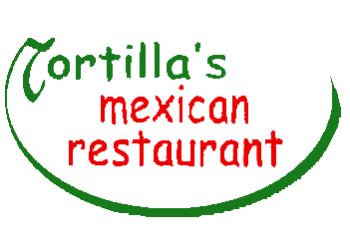 With the new name of Tortilla's Mexican Restaurant, Inc, we are pleased to annouce that as of October 1st, 2008, Leonar Palacios has been the new Jefe. You are guaranteed we will continue to use the finest ingredients, quality & the best in Mexican cuisine to broaden your palate experience. Leonar & his family along with his staff at Tortilla's Mexican Restaurant, Inc welcome you to an excellent at home taste of old Mexico.